Explore these 15 danger signs job interview questions. These danger signs job interview questions aren’t directly related to skills and ability to do a great job. If a potential employer has an issue regarding any of these danger signs job interview questions, then it’s time for you to run a mile from such an employer. There is no doubt that good jobs are hard to come by these days. However, these danger signs job interview questions should not be asked by any employer. Anyone who has searched for a job recently will know how difficult it is to bag that special job. Frankly, it takes countless resumes or CVs and applications to get few interviews and that is if you’re a lucky job seeker. Indeed, in the quest for a job, it is easy for any job seeker to lose sight of their rights and the respect they deserve during a job interview. 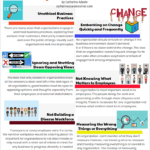 As a job seeker, don’t ever overlook many of the warning signs that signal a potentially bad employer to work for. Regardless of how hard it is for you to secure a job interview, it is vital not to scoop just any job that you are offered. Finding the right employer for that special job is worth every minute that you’ve spent pounding the pavements and sending out your job applications. During a job interview, there are certain questions that employers should never ask you because the questions are discriminatory. A potential employer asking you these 15 danger signs job interview questions is a sign that the organization is probably not the best place of work for you. If an employer has an issue regarding any of these 15 danger signs job interview questions that aren’t related directly to your ability to do a great job, then it’s time for you to run a mile from such an employer. This is the first of the 15 danger signs job interview questions that a potential employer can ask you. It is illegal for a potential employer to ask you questions about your race or skin colour. Unless you’re applying for a modelling job, no one should ask to know your race. That’s ageism! There is no reason to ask you this question. In any case, from your resume or CV, a potential employer can roughly work out your age. 3. What nationality are you? An interviewer must not ask if you are a citizen of the country where you are being interviewed or not. They should not ask where you were born or comment on your accent. However, they could ask if you are eligible to work in the country or ask that you submit documentation to that effect once employed. 4. What is your religion? As well, there is no reason for an interviewer to ask you about your religion unless you are interviewing for a position in his church or mosque! 5. What country are your parents from? Again, no hiring manager should ask you this question. Enquiries that either directly or indirectly disclose your origin should not be asked. 6. Are you married, separated, engaged, widowed or divorced? Why ask this question. It has no bearing on your skills and ability. What if you are married or not, what has that got to do with your ability or experience needed to do a great job? Unless the interviewer is your doctor, there is no reason for him to ask you this question. 8. Have you ever been arrested or spent a night in jail? Again, no one should ask you this question this way. However, if you are applying for certain types of jobs (police officer, teacher, nanny etc. ), then, it is OK to ask if you have ever been convicted of a crime in the past. 9. Do you have any disabilities and how does the condition affect your abilities to work? This is a no-no question. It is discriminatory, period. An employer may not discriminate against a qualified disabled candidate. They must make what is termed as ‘reasonable accommodations’ for you if you are physically or mentally impaired. 10. How will your husband/wife feel about the amount of time you will be travelling if you get this job? No hiring manager should penalise you for having a spouse. However, they can ask if you can work overtime or ask if you can sometimes work past your normal working hours. 11. Have you got children and how many? Questions concerning your dependants are not any employers’ business during a job interview. There is plenty of opportunity for them to know more about you and your dependants’ information for tax and insurance reasons once you are employed. 12. Can I address you as Mr., Mrs., Ms. or Miss? Why? That’s how sexism crops up. Any hiring manager should know that you are a person who wants a job. 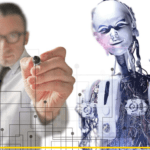 He has your resume or CV; your name is on it. He can address you by your name. 13. Do you plan to have children in the future? Not appropriate. No one should ask you any personal questions. 14. Have you ever filed for bankruptcy in the past? Employers should not ask questions about your financial status. However, if you are applying for a position that will put in charge of the company’s money and if having good credit record or history is a requirement for the job, then, the hiring manager is within his rights to perform a credit check on you. 15. Do you have a Facebook account and can I have the password? 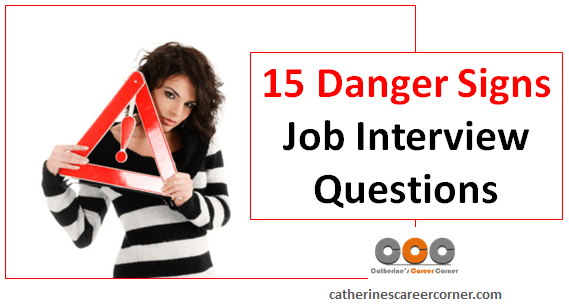 This is the last of our 15 danger signs job interview questions that a potential employee cannot ask you. Note that no potential employer should ask you for the password to any of your personal online social media networking accounts. They can ‘Google’ your name without your knowledge or permission and that is where the snooping should stop for them. Anything outside that should send an alarm bell ringing in your ears and project an imaginary visual display of a neon danger sign in front of you. 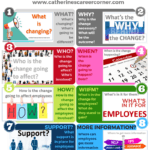 As a job seeker, if you are asked any of these questions, try to change the topic of conversation and avoid the question. Remember, you can refuse to answer a question which might cost you the job especially if you are uncomfortable with such question, you just have to be diplomatic. Above all, consider whether you are just being interviewed by a clueless manager or if you really want to work somewhere where you are asked questions that are grossly inappropriate. Now that you have explored our list of 15 danger signs job interview questions, do you have any more to add? Let’s hear from you by adding your comments below. These are wonderful! We also wrote about what job interviewers should NOT ask that would be beneficial to watch out for – thought I’d share! Marilyn, thanks for taking the time to add your kind comment. I’d appreciate it if you can share the URL of your own article here for our readers. If you don’t mind, I can also add the link to this post.